Finland’s contributions to gender equality started early in the 20th century, and one of its key movements was the World War 2-era women’s volunteer group. 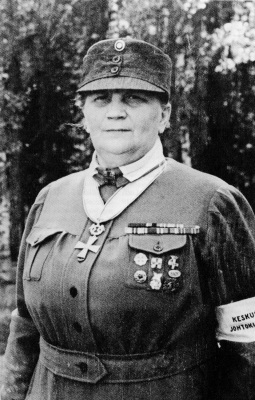 Formed in 1918 from various Civil War volunteer groups, Lotta Svärd really came into action during World War 2 when they were mobilized to replace men who were away fighting; these are some of their greatest achievements and what we can take away from them. ‘Svard’ is Swedish for ‘sword’ but the group’s name actually comes from a female character in the famous-Finnish poem “The Tale of Ensign Stal”. In the poem, Lotta Svard was the wife of a Finnish soldier who went with her husband to the war and continued to nurse soldiers on the battlefield even after her husband was killed in battle. Since this was the attitude that the group was going for, it was suggested by Marshal Mannerheim in 1918 and became a part of their charter. 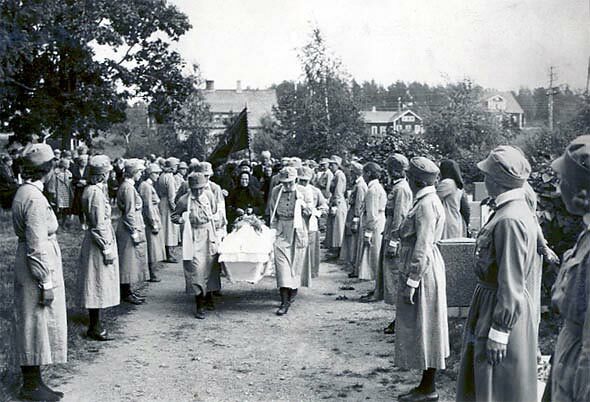 After many years of doing volunteer work, the Lotta Svärd was one of many women’s groups throughout Europe who filled the essential roles of men who deployed when Finland entered World War Two. Membership skyrocketed to 242,000 by 1944, and as many as 100,000 jobs were temporarily filled. The Lottas, like most wartime women, had to play a supporting role in the war and become the emotional crutches for the male soldiers. Most were recruited for medical posts or catering. A smaller number were employed in transporting supplies or as administrators. However, others took on more militaristic roles such as guards, in surveillance, or equipment maintenance. Before the war, the Lotta Svard had strict entry requirements and was open only to Christian women. The acceptance requirements were relaxed during the war and despite growing xenophobia in Finland at the time, non-Christian and foreign women were permitted to join. Some argued that this caused a drop in overall quality to the Lotta Svard, but since the need was so great, they were hired anyway. Just like many European countries which hired youth organizations such as the Girl Guides to help out, the Lotta Svard had their own youth regiment, the Small Lottas. They were highly similar to the Girl Guides and performed all of the regular duties as the rest of the Lottas, despite their age and lack of experience. Despite not taking an active military role, 291 Lotta members died during the war (the majority from disease) and were buried in war-hero graves in their hometowns. These memorial services were well attended by other Lotta members and held with full-military honour. Unlike the Civil War’s female volunteers, the Lottas were officially unarmed and didn’t take part in active combat with one exception. An anti-aircraft battery in Helsinki in 1944 consisted entirely of Lottas who were given rifles for self-protection. So far, they are the only all-female military unit in the history of the Finnish-armed forces. Despite the role the Lotta Svärd had played in the war, Finland was still on the losing side. This didn’t matter to the Finns at first as they celebrated the end of the war and their men returning home. In the following years, the war’s devastation war was felt, essential items were in short supply, and Finland had to pay reparations to the Soviet Union. One demand made by the Soviet Union was the ban of any organization they considered parliamentary or fascist. The Lotta Svärd was one of them. The women were expected to give up their positions once the men returned home and proverbially ‘get back in the kitchen’. Despite this, the Lotta Svärd did survive under a different name: the Support Foundation of Finnish Women. After the war, they worked to rebuild the country, provide supplies to remote communities, and restore national spirit. One contribution they made was raising funds to ease the post-war housing shortage. The Support Foundation of Finnish Women still exists and in 2014, they officially took back the name Lotta Svärd. Today the organization rents out apartment buildings to fund their work and provides medical support to former Lotta members. 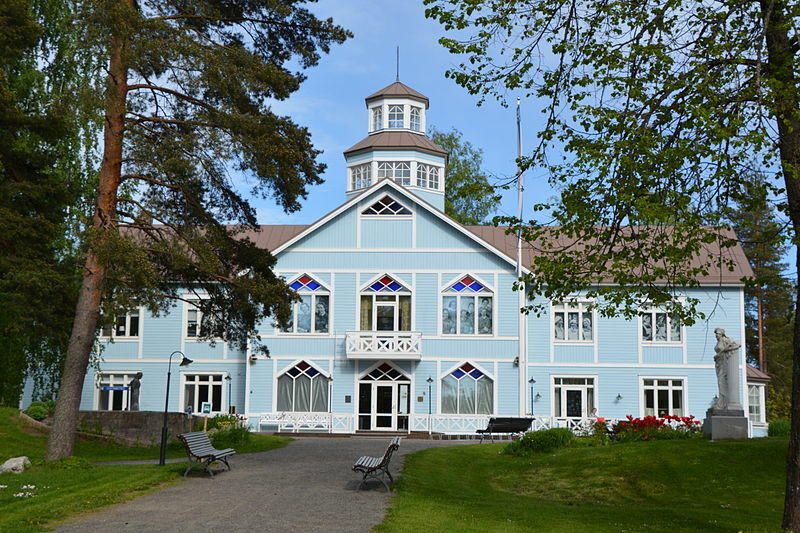 After many years of obscurity, the achievements of the wartime Lottas have since been recognized and honored with a feature film, Lupaus, released in 2005 as well as a Lotta Svärd Museum built for the organization’s 50th anniversary. Women were even permitted to join the Finnish military again in 1995. Of all the women’s volunteer and support groups from World War 2, few matched the power and determination of the Lotta Svärd. Even when they were only providing support behind the scenes, they still took it all in their stride and would even risk their lives to do their duty. They kept Finland running during its darkest hour and helped to rebuild it despite a lack of funds or resources. They supported other women in a male-dominated world and continue to do so today. The Lotta Svärd are role models for modern women everywhere.